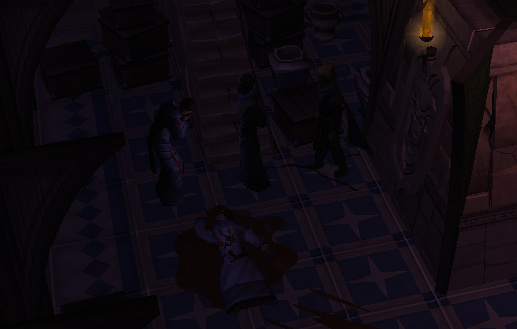 A murder has occurred in the Saint Elspeth Abbey. Can you help solve the murder mystery and find the killer? There has been a murder in the Abbey of Saint Elspeth, and the abbess wants an adventurer to investigate. Can you find the killer without disturbing the sisters' lives of prayer and sacred music? 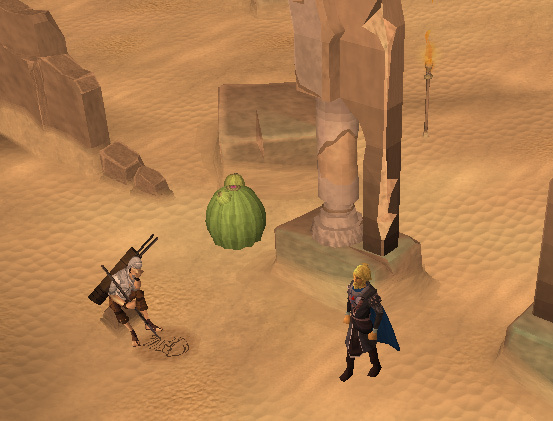 Speak to Catherina in the Abbey of Saint Elspeth Citharede, located east of Al Kharid. 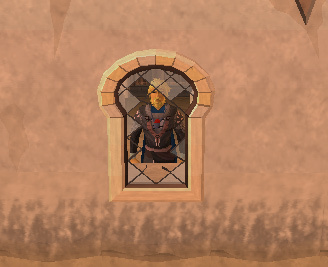 Note: It's highly recommended to turn your audio up through the RuneScape settings, as well as your computer's speakers. 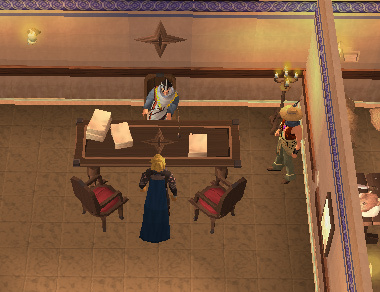 This is the first RuneScape quest that offers full voice acting, with special music, so don't miss out! The quest is started at Citharede Abbey. 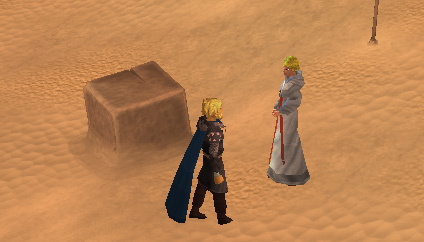 To get there, travel to Al Kharid. Heading east, climb over the stile and run through the Desert Strykewyrms area. At the eastern edge of the area is a large archway with a Strykewyrm hunter sitting next to it. He talks about the abbey and how it's famed for its music. Head through the archway and talk to Sister Catherina. She thanks Saradomin, and after more inquiries she tells you that the abbess prayed to Saradomin for an adventurer to come and help them. Offer to help and you'll be given the menu for the quest start. Once the quest is started, Sister Catherina tells you to go and see Abbess Benita. Head into the abbey and turn north. There are three doors. Abbess Benita is located in a room through the middle door. Abbess Benita explains that she found Sister Anna dead in her cell after she became suspicious because Anna hadn't come to Compline. Your job is to investigate the murder, as Abbess Benita believes that the murderer could still be in the abbey. You have to be subtle as Benita doesn't want the murder to be widely known about. You're given a key to Sister Anna's cell and a notebook to track your investigation in. Head to the south-east corner of the abbey, and you'll find four cells. 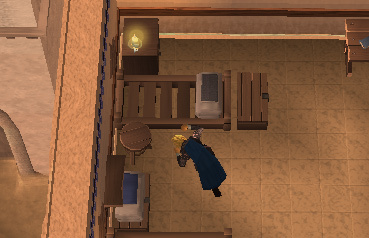 Use the right-click option to read the cell doors and find out which one belonged to Sister Anna. Once inside the cell, investigate the bed and you'll find a cloth fragment. Inspect the window and you will conclude that it was broken from inside. Head back to Abbess Benita, but instead go to the room directly west to hers. Inspect a bed in there and you'll discover another cloth fragment like the one you found in Anna's room. Once that's done, head directly south of the room you were just in. In the south-west corner of the abbey is the infirmary, with Anna's body wrapped in linen inside it. Inspect it, and you'll find out four clues that caused her death. Once that's done, you'll need to question five people within the abbey. Sister Elena. She can be found in the room east of Abbess Benita's. She gives you three clues. Sister Cecilia. She can be found in the large altar room, conducting the choir. She gives you three clues. Sister Catherina. She can be found in the altar room as well. She gives you two clues. Valerio, the troubadour. He's located outside the abbey, and will give you three clues. Sister Debora (Feet). She's located at the top of the clock tower, which is in the north-east corner of the building. She asks for help with the clock. It's mirrored, so you must do exactly the opposite of what she tells you to change it to. She gives two clues. Once you've collected all the clues, head back to Abbess Benita. Tell her you've finished investigating and she'll ask about who you suspect. Don't worry about what option you choose, as the result will be the same. A cutscene will begin and you'll hear a scream. Follow the sound of the scream to the clock tower, except this time head down the stairs in the south east corner of the room. When you head downstairs, a cutscene will begin and you'll be beside Sister Elena's body, with Sister Cecilia claiming that it the Ripper was back. Investigate the bloodstains and body, then investigate the robe cabinet on the west wall of the same room that the body is in. Head back to Benita and ask for the key to Sister Elena's cell. Go over to Elena's cell in the south east of the abbey and check her bed. You'll receive a stack of letters, which you need to read. As you pass the kitchen, make sure to check the sack next to the northern wall. Go outside and talk to Valerio. He'll deny anything to do with Elena until you tell him she's dead. Now go and talk to Cecilia, who is on a bench in the altar room. She'll tell you she saw the Ripper demon kill Sister Elena. Go and talk to Abbess Benita again and she'll ask you who you think it is. Again, the choice doesn't matter. She'll tell you to go and collect Catherina and bring her into the safety of the abbey. 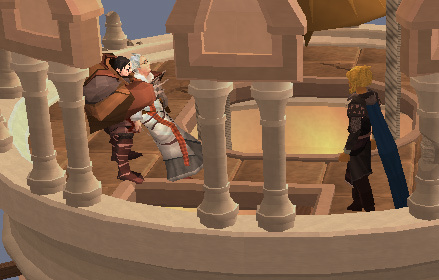 As you're coming back with Catherina, the portcullis will come crashing down and separate her from you. The killer will leap out and kill her. 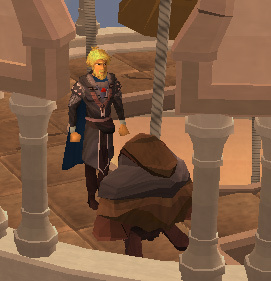 When the cutscene is over, you need to look just to the south for a ladder next to the wall. Climb it and operate the winch to raise the portcullis. Go back outside and investigate the body. Abbess Benita will summon both you and Valerio, who tried in vain to save Catherina, to her office. You're again given the option to identify your chief suspect, but again it doesn't matter. The conversation leads to a point where you have to suggest laying a trap for the killer, with use of a new victim. The three of you plan out what you're going to do. Once that's done, head outside the office and grab a cabbage from the center of the room, unless you already brought one. Go back down into the basement where Sister Elena died and search the robe cabinet for some Citharede robes. Move the candelabrum next to the Reliquary and use the cabbage on it, then use the robes on it. You'll form a 'sister cabbage', which supposedly looks convincing from behind. Now you need to hide in the robe cabinet. 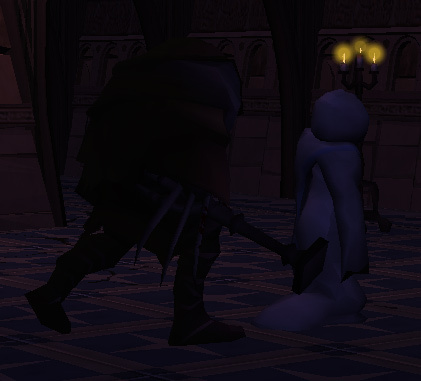 A cutscene will begin and the killer will come downstairs and attack the dummy. Attempt to knock it out, but it will escape upstairs. Chase after it, and every so often a short cutscene will play showing the direction it runs in. You eventually follow it to the top of the clock tower, where it takes Sister Debora as a hostage. It's revealed that the killer is in fact Sister Anna, and she has gone mad. Going through the dialogue explains the previous events. There is no way to free Debora, so you need to run back downstairs and adjust the clock to 12 o'clock. Run upstairs again and mention the bell in the dialogue. Sister Anna will be distracted by the ringing, so Debora will escape. Talk to her and go through the dialogue until she leaves. Now you're left alone with Anna. Anna becomes sane again and feels anguished over what she has done. Whatever dialogue you choose, it will end with her falling off the clock tower. 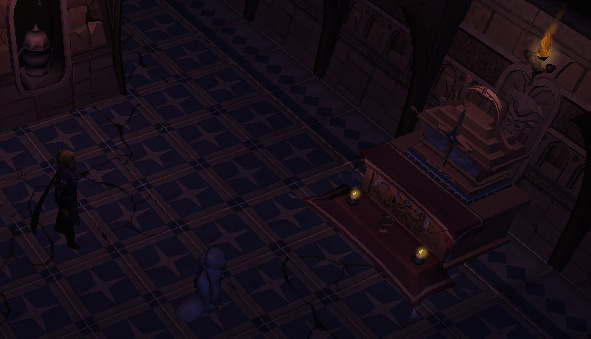 A cutscene will play and after it you'll end up back in Abbess Benita's office, with Valerio. 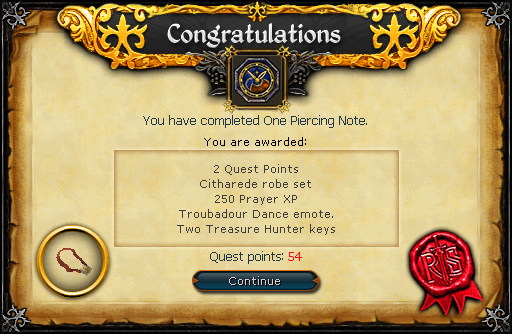 Citharede Robes Troubadour Dance emote Ability to make Illuminated god books The ability to obtain Saint Elspeth's Holy Cithara from the Reliquary beneath the Abbey and gain an additional 50,000 Prayer experience.